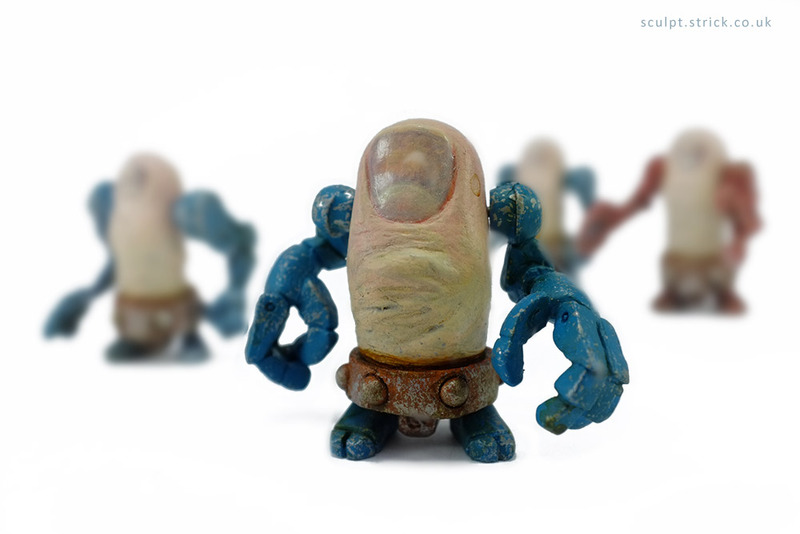 The first Toebot started life as an experiment. 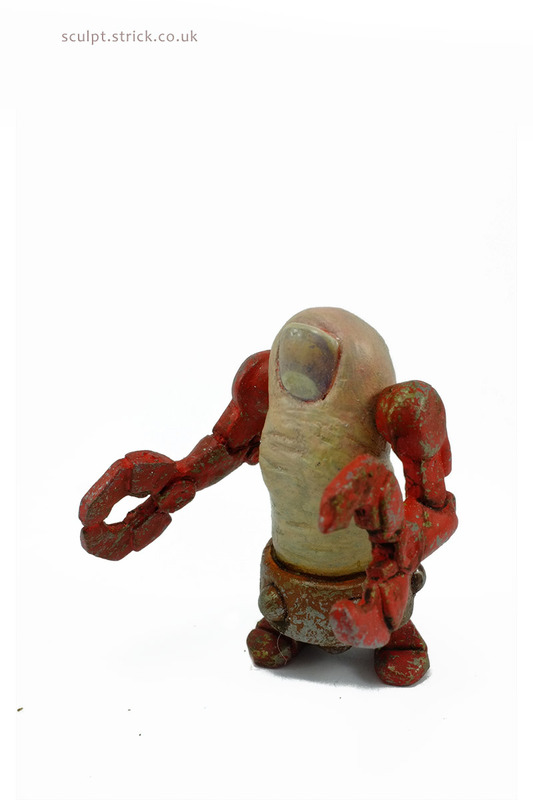 Victor Blattodea had wanted to test his theory on a conveniently small subject and grabbed the first suitable item he could find amongst the Baron's discarded spare parts. 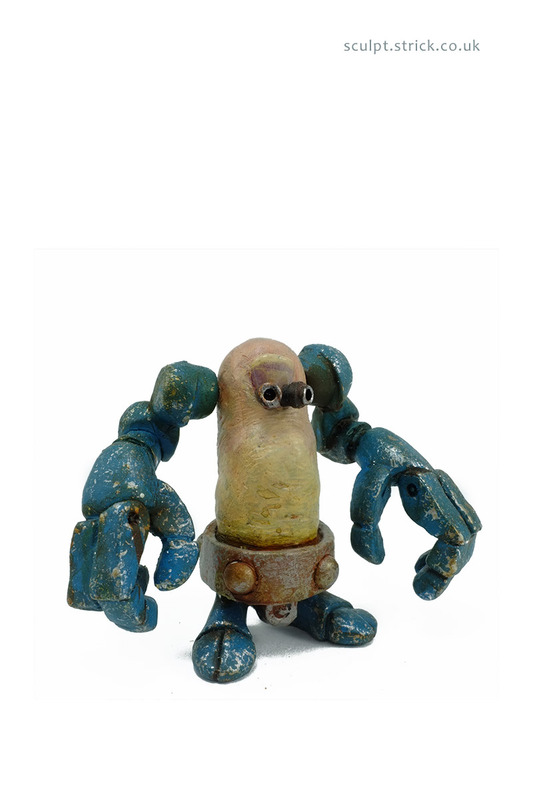 Delighted with his success, Victor immediately built more, realising that where he could find the raw material for one Toebot, there were usually parts for at least another four. 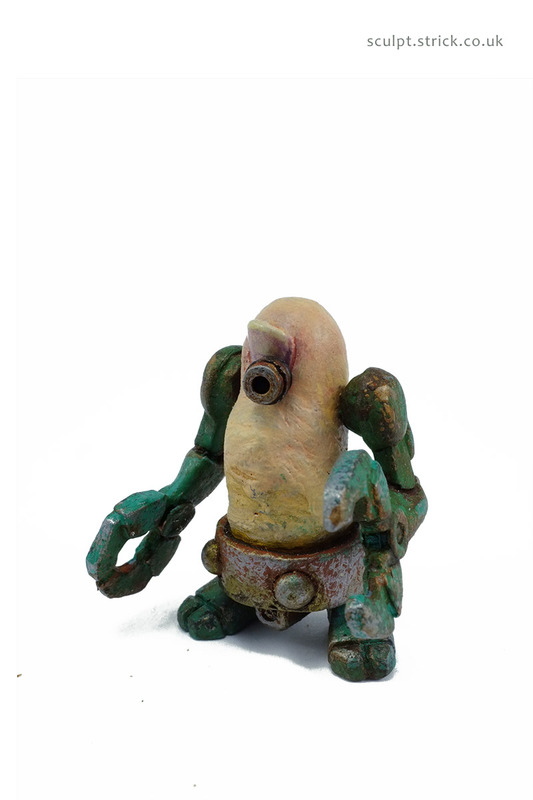 Victor's creations proved themselves to be invaluable, quickly becoming essential footsoldiers helping him with his work. 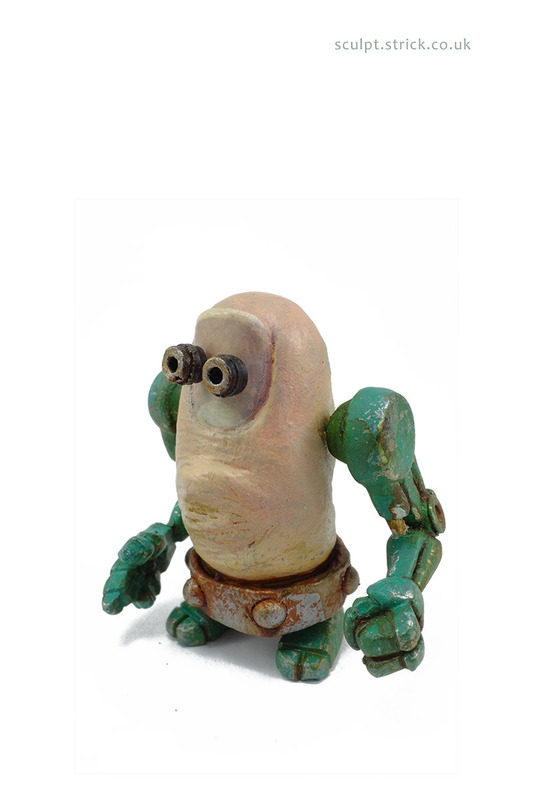 However, despite experimenting with various clever vision systems, Victor was constantly frustrated to find that his Toebots still kept unexpectedly bumping into anything left on the floor. 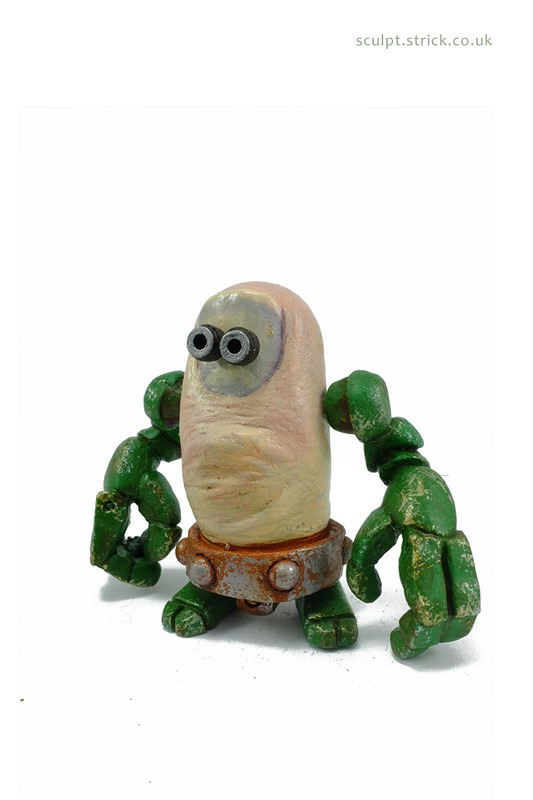 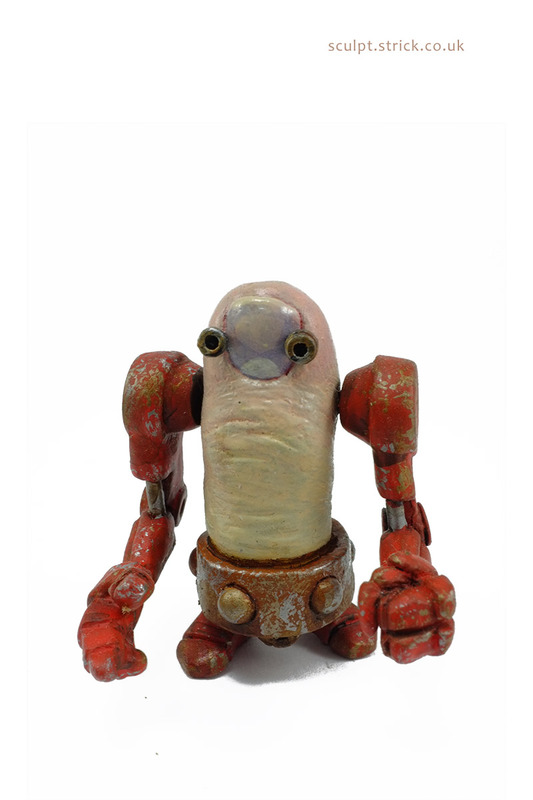 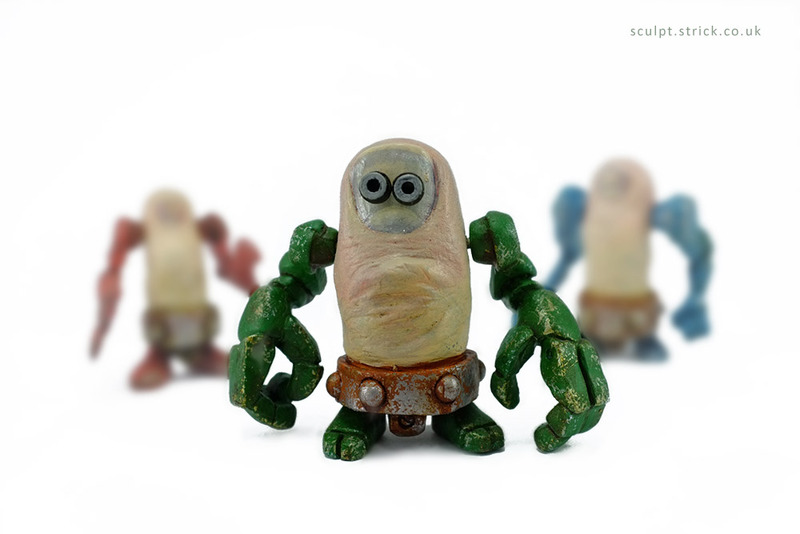 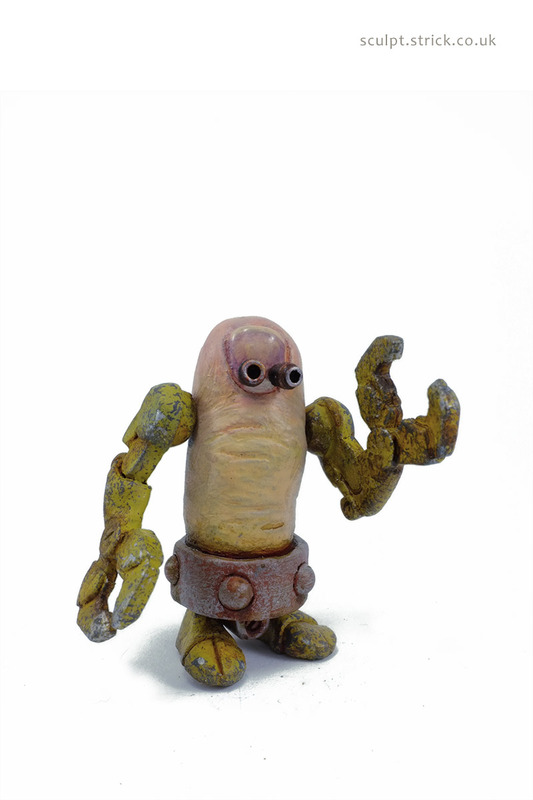 Toebots are life-sized, mechanically enhanced re-animated toes. 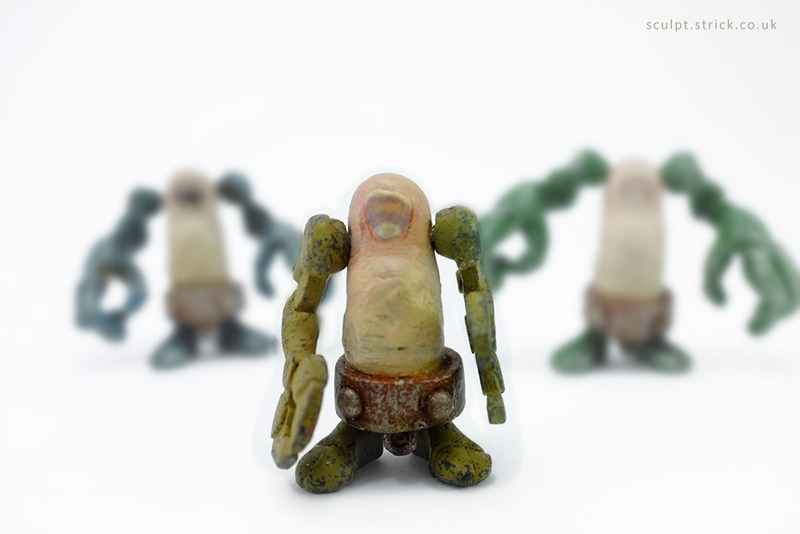 They are articulated at the shoulders. 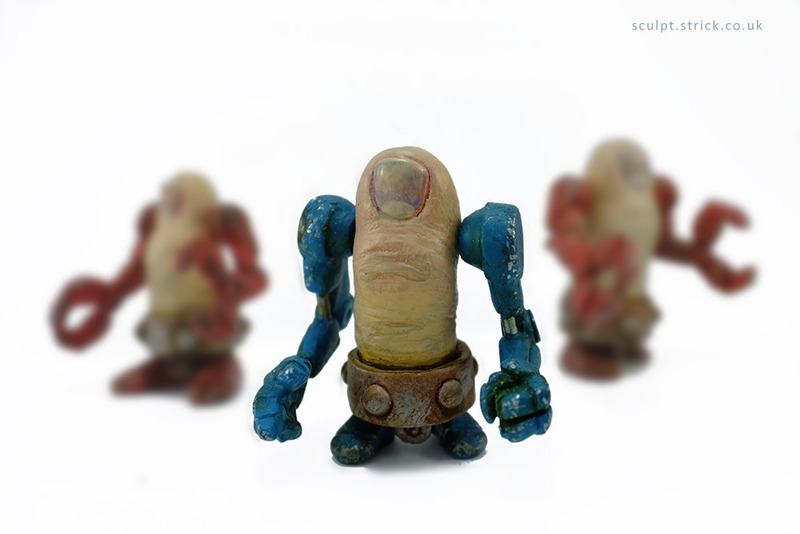 They are all different and picked at random.